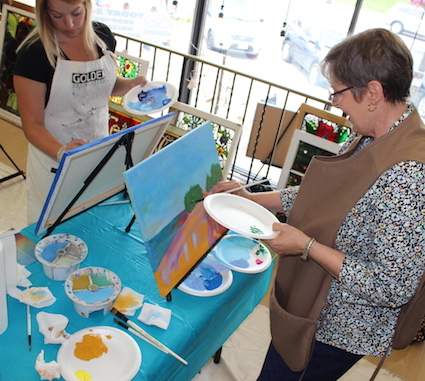 Artists immerse themselves in the process. GODERICH – You’ve make the trip to Lake Huron and have grand plans to spend endless hours lying on the beach, reading a good book, maybe napping for a bit, walking over to The Beach Station restaurant for a bite to eat, and taking a dip in the refreshing waters. Then it rains. And it’s not looking like there’s any end in sight. What to do? 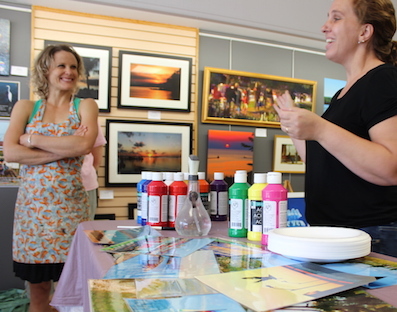 Head on over to Elizabeth’s Art Gallery in Goderich and paint the lake instead. At right, Elizabeth Van Den Broeck gives an assignment to the aspiring artists. 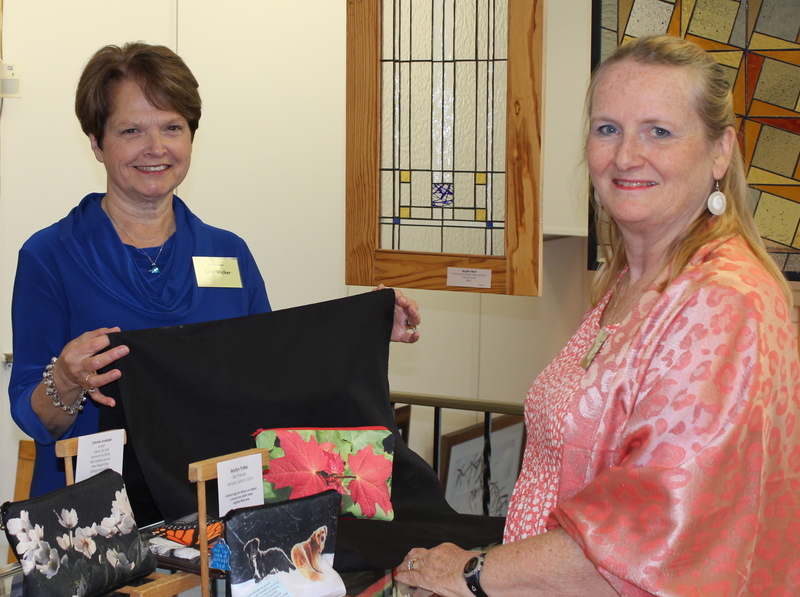 In this new program, aspiring artists are given a blank canvas, apron, selection of brushes and choice of acrylic paints to create a masterpiece in two hours, under the skillful direction of artist Elizabeth Van Den Broeck. Even if you’re not an aspiring artist, it’s still well worth the experience. In the very first class, about 10 of us – including Solo Traveller blogger Janice Waugh – chose a photo taken along the lake and used it as a reference for a painting. I chose a photo of the front of a boat that was moored in murky green water. It reminded me of a painting from the recent Alex Colville exhibit at the AGO, in which he took an aerial perspective of a woman climbing a ladder from a small motorboat to dockside, while a man sat on the dock, his feet dangling over its side. With each brush stroke, an image begins to take shape. She instructed us to paint the canvas with one colour – whatever colour makes us happy – to break the barrier. I chose orange, using a wide brush to slap on long strokes of the bright colour. And then I immersed myself in the art. Around me, I could hear snippets of conversation as I worked. Block the space so we don’t run out of room on the canvas… Brush strokes are like musical notes, and can be choppy or long… Foreground is the place where all the action takes place… Put energy into your stroke… Get more paint on the brush so those leaves don’t look like little sponges… Don’t worry the paint. When I finally stepped back, I saw there were gorgeous paintings developing around me – tranquil scenes in delicately defined brush strokes. Then there was my painting. Bold reds, yellows and blues with streaks of black through them. Broad brush strokes of thick and uneven paint. 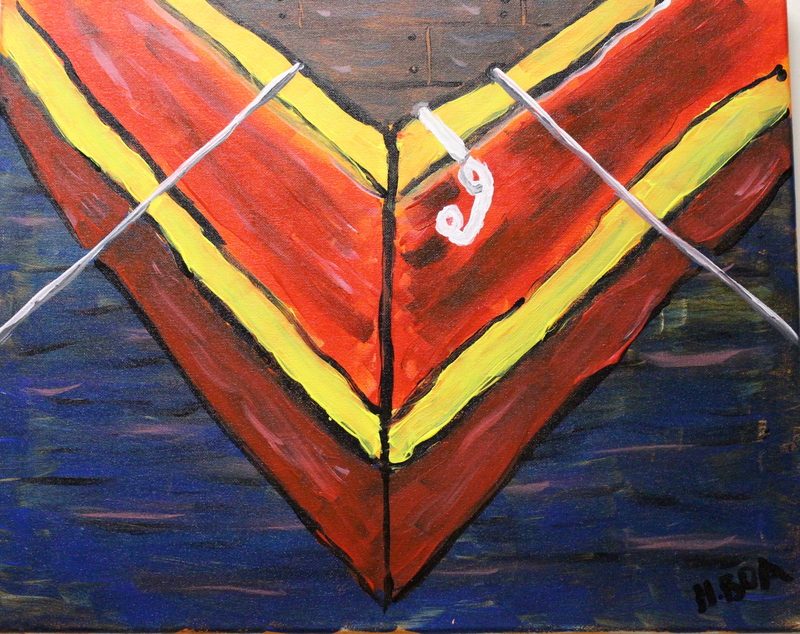 The resultant work looked more like the “V” of a graduate’s gown than the bow of a boat. Although my mother would like to hang the painting in her house, it’ll probably land under my bed, where it will gather dust and get damaged by other stuff thrown under there. But that’s okay. What was far more important to me was trying something new, having fun with a group of people, and discovering a bit about myself through the process. 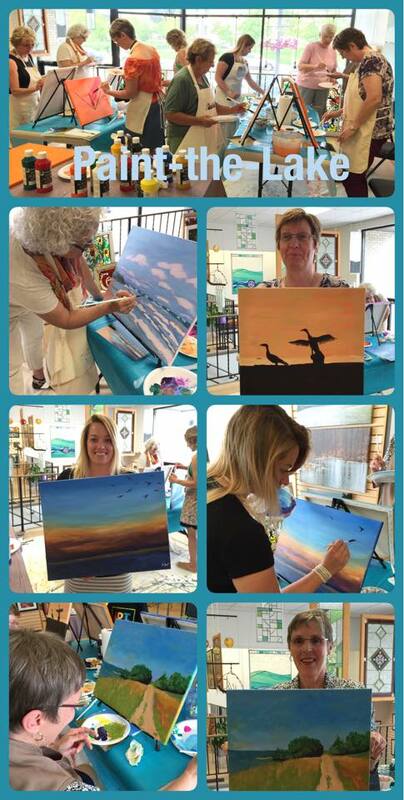 How: Just call 519-524-4080 by noon on a rainy day to book your spot. Cost: $25 per adult, $20 per child. Includes 16×20 canvas and paint. Includes inspiration and instruction. Collage courtesy of Elizabeth Van Den Broeck.